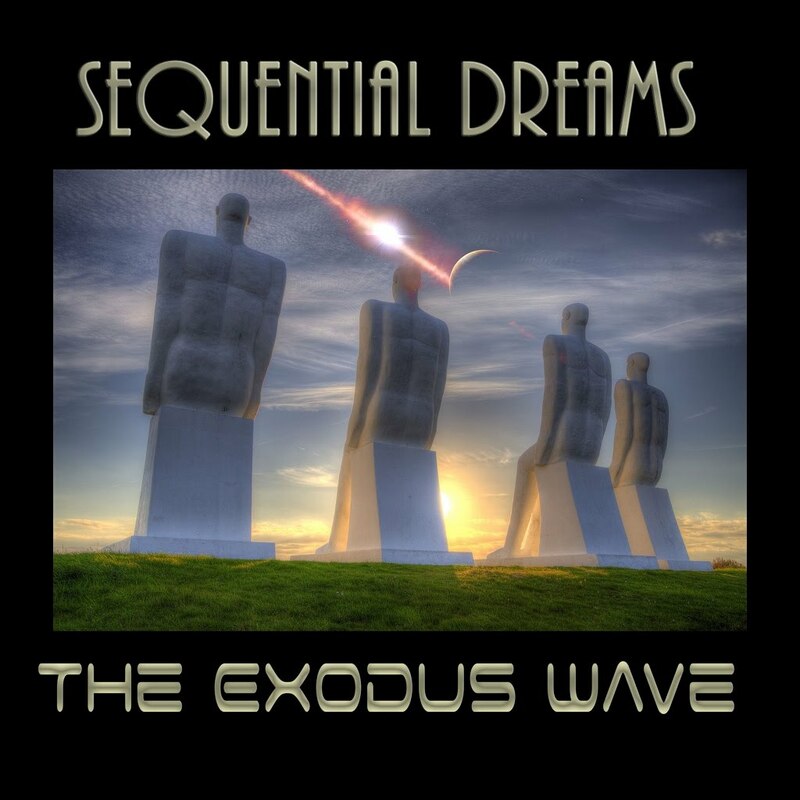 The Exodus Wave is the eighth album from Sequential Dreams, a project conceived by Canada-based electronic music composer Ron Charron, who also releases albums under the name Kuutana as well as other projects. Comprised of fourteen compositions spanning an intensely-packed and lengthy seventy-nine minutes, the album was composed and performed by Ron, who plays keyboards and synthesizers on all tracks as well as electric guitar on several. 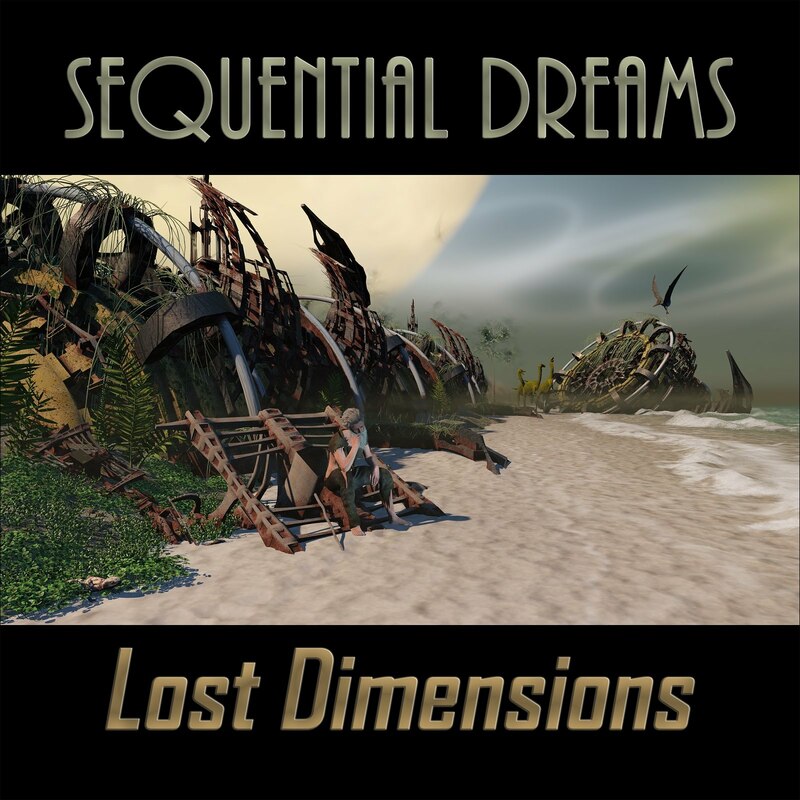 He is additionally joined by ex-Tangerine Dream member Bernhard Beibl on a few of the compositions, who also plays electric guitar on a few tracks, including “Telemetry”, “Subspace Breach”, “Pleiadian Prophecy”, and “Booster Separation”. “Telemetry” opens with spacey signals and digitized gurgling effects, which are accompanied by an arrangement of vintage sequencers and dynamic drum programming. Definitive of the Berlin-School style of electronic music, elements of progressive rock are also present on this track, as well as throughout the rest of the album, in which potently expressive and powerful electric guitar riffs serve as the lead ‘voice’ on many of the compositions. “Subspace Breach” follows next, bringing images to mind of solar winds and orbiting satellites, before slipping into “Pleiadian Prophecy”, a piece that begins with haunting wordless voices that seemingly echo throughout the cosmos. Featuring additional keyboards and synthesizers by Chris Pearre, the name of this piece suggests a reference to the intriguing mysteries surrounding the Pleiades constellation, which has played a notable role in many world religions and ancient mythologies. Winding things down a bit, the beautiful “Interstellar” ensues with a Pink Floyd-esque atmosphere, which is characterized by drifting, howling guitars and moody chord progressions. Conveying a sense of floating and weightlessness, one perhaps gets the notion of slowing approaching an interstellar destination as a distant horizon comes into view. Following it up is the equally compelling “Wavefront”, which opens with an encompassing, gravity-warping wind tunnel effect, before leading into a dynamic arrangement of sequencers, drum programming and electric guitar. 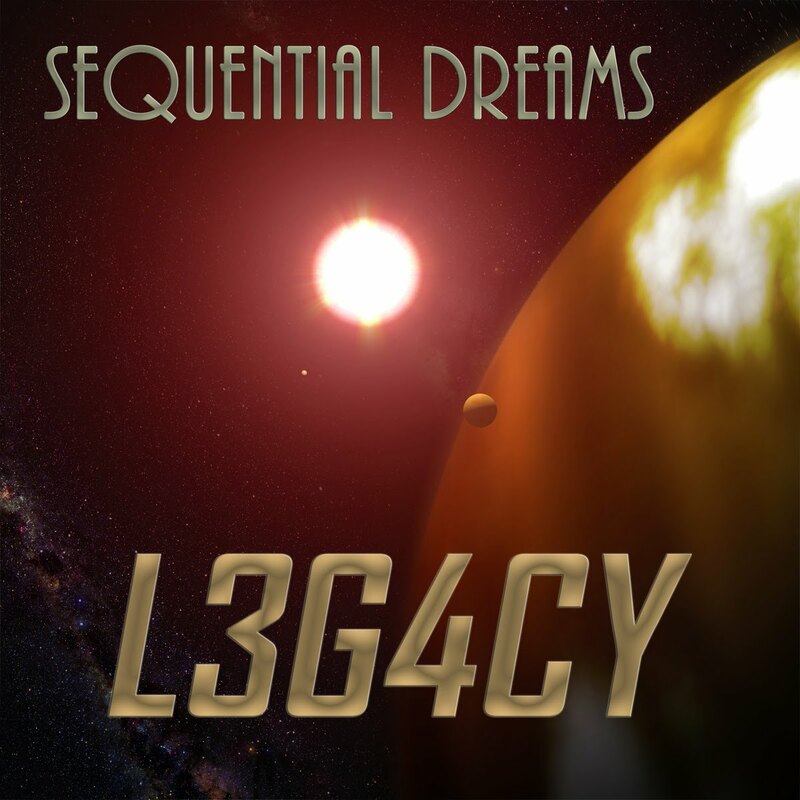 My favorite piece on the album is quite easily the eighth track, “Quantum Theory”, which also seemingly bears the strongest influence of classic Tangerine Dream, with even some of its vintage synthesizer effects mimicking that of their Stratosfear album. Arend Westra lends keys and synths to the next track, “Booster Separation”, a somewhat foreboding piece that deftly interweaves an almost gypsy or middle-eastern melody into its framework of electronic programming and rock guitar. Closing out the album is “Approaching Terra Nova”, a classic travelling electronic-space composition that imparts scattered celestial voices throughout. 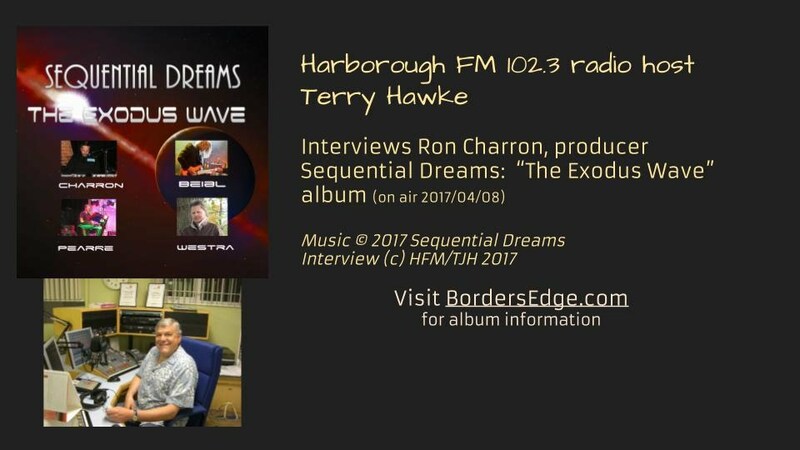 Synth&Sequences Reviews "The Exodus Wave"
The year 2017 kicks off the year in a very rock way for Borders Edge Music and the interplanetary band Sequential Dreams which throws its 8th album “The Exodus Wave”! Flanked by his last known accomplice, Bernhard Beibl, Ron Charron also encircled himself of the Californian synthesist Chris Pearre (Synthesist) and of Arend Westra of the duet Parallaxe whose album I had appreciated well; Breaking The Laws of Physics released in December 2015. 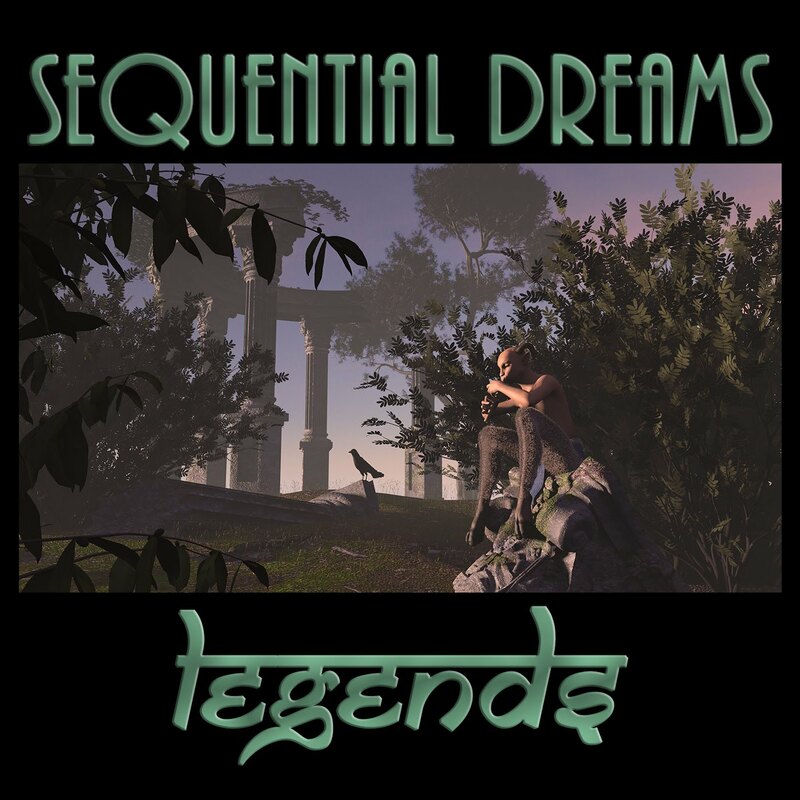 Since the very beginning of Sequential Dreams, Ron Charron tries to get his music closer to that Tangerine Dream with a good electronic rock shaped between the roots of the mythical German trio of the 80’s and those of the years of hard electronic rock of the Seattle era. If every album moved closer to its purpose, “The Exodus Wave” hits the bull's eyes! After a short ambio-cosmic passage, "Telemetry" sets the tone with an energetic rhythm where Bernhard Beibl shows that he is still has this 220Volts biting with his guitar. Sometimes very rock and other times rather soft or hopping like a light electronic rock, the music breathes of freshness in the permutations of its phases. If the guitar of Beibl is biting, Ron Charron's piano is very melancholic and both instruments paint mutually the phases of a structure in movement. Always influenced by stories of the cosmos, the music of this last album of Sequential Dreams is unfolding like a soundtrack of a sci-fi movie. Thus, 14 titles for 78 minutes propose so a very structured EM which leaves no room to improvisation nor to long passages of ambiences which are rather inserted in the intro, either into short phases of each title, to feed better the intensity of the structures which are always in movements, with a few exceptions. When we also find 14 titles on an album of 78 minutes, there is good chances that the structures are fed by similar approaches. But we have to approach it like a big sound mosaic where the hard rock flirts with the soft rock wrapped of good electronic effects. The music goes well between the ears and Ron Charron takes a jealous care of giving to it an amazing way of turning it into totally short unexpected phases. "Subspace Breach" is the perfect example with an intensity embroidered in the heaviness from where pops out a really nice movement of gleaming sequences. Sequences which sparkle and lap innocently before being snatched up by riffs and solos from Bernhard Beibl who sounds very David Gilmour here. The movement of the rhythm reminds me enormously those of 220Volts with phases of rock and some little quiet ones where the percussions are nervous and the sequences are crystal clear as the spatters of water on a mirror. Ron Charron inserts effects of drama and intensity here and there, adding some more of weight to his story of global disaster. As in "Pleiadian Prophecy" who proposes a slower rhythm with good effects of synth. The percussions are very good and the sonic envelope which surrounds this title is equal to all which surrounds the 78 minutes of “The Exodus Wave”. Still here, Bernhard Beibl's guitar is very furious and gives a very TD depth to "Pleiadian Prophecy" which splits rather well its charms between its soft and rock phases. "Interstellar" is more in the ambient and intense kind with very good synth solos. It’s the most quiet title of “The Exodus Wave” and it’s also the title which exploits the most the charms of the synth. "Wavefront" proposes a long ambio-spherical introduction a la Rubycon before taking a rather rock tangent with a rhythm which flounders and spits effects of jerks under the bites of nervous percussions. While a line of sequences adopts an oscillating structure, Ron's electric six-strings spits riffs and solos which get embraced by nice layers of voices. More elements which fill the electronic rock anthems of each track here. "The Arcbuilders" takes also some time to take off. And when it's done, we are entitled to a good movement of sequences a la Franke. The rhythm is lively with a Floyd guitar. With "Countdown to Launch" we are in the lands of Mars Polaris, to say the least of the introduction with its loops of guitars which remind of U2. The structure of rhythm is as light as that of "The Arcbuilders", but with more electronic effects and this even if the guitar dominates the ambiences and of "Countdown to Launch" and of “The Exodus Wave”. 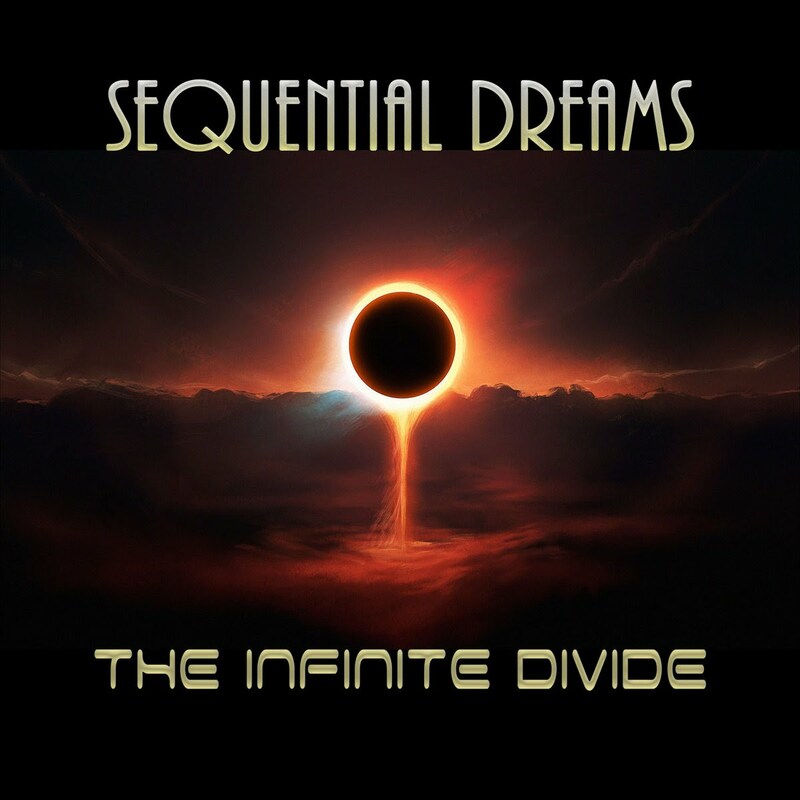 With its sibylline envelope and its rhythm which goes up and down, such as TD in its Flashpoint years, "Quantum Theory" unites the many phases of the long Tangerine Dream odyssey for a so short title. The title-track allies romance and lively rhythm with biting guitar riffs and unbridled percussions of which the crazy race is subjected to beautiful affectionate layers. 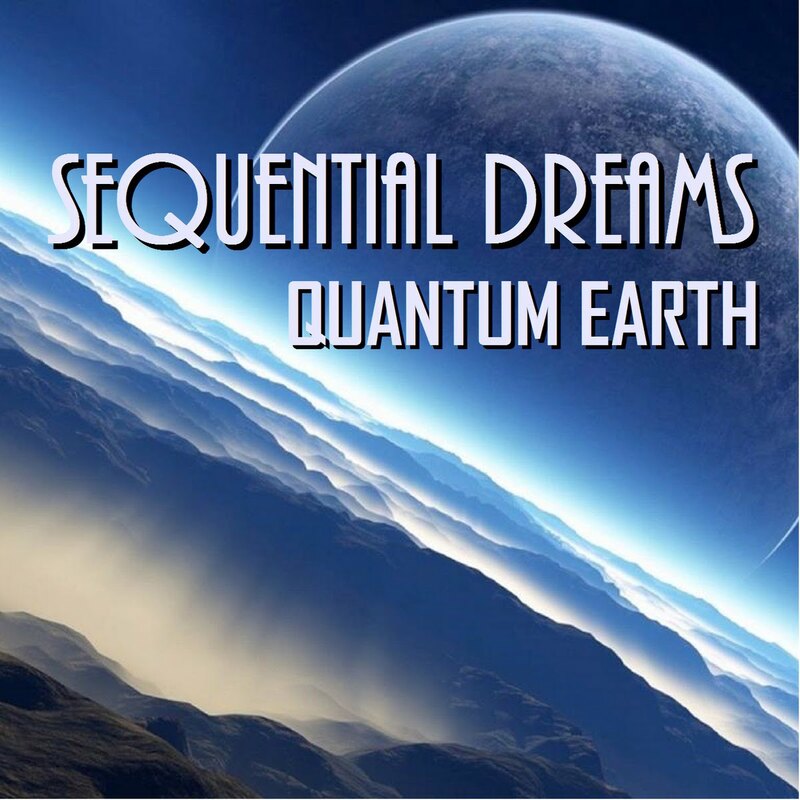 Between a heavy rhythm and moments of ambience, "The Exodus Wave" is a very good indication of what we will find in this last album from Sequential Dreams. The same goes for the blazing "Booster Separation" which still proposes some Bernhard Beibl's good solos. "Mission Objective" and "Arcflight" propose good electronic rock which go very easily between the ears while "Hibernation in a Virtual World" is the most progressive title here. This is a very good one with good atmospheres! "Approaching Terra Nova" ends this last opus of Sequential Dreams with a lively and jerky rhythm which rocks between its liveliness and its heaviness. A title which reflects the whole dimension of “The Exodus Wave” which addresses to a public already conquered beforehand with a beautiful brochette of lively and mordant titles and always well structured to which one listens without too much difficulty; as in the time of Rockoon, the time of Jerome Froese, the time of Bernhard Beibl and of the TDI years from Edgar Froese's sound and music vessel.